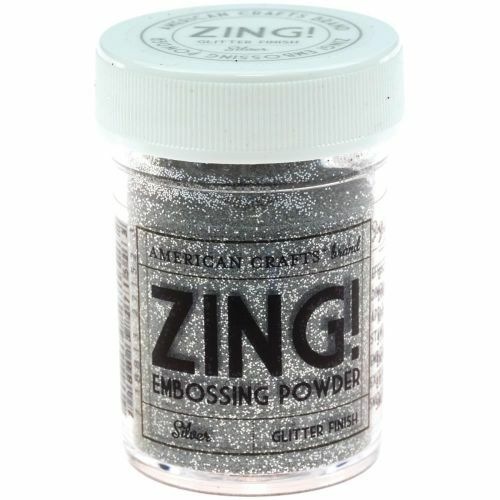 American Crafts Zing Silver Glitter embossing powder. 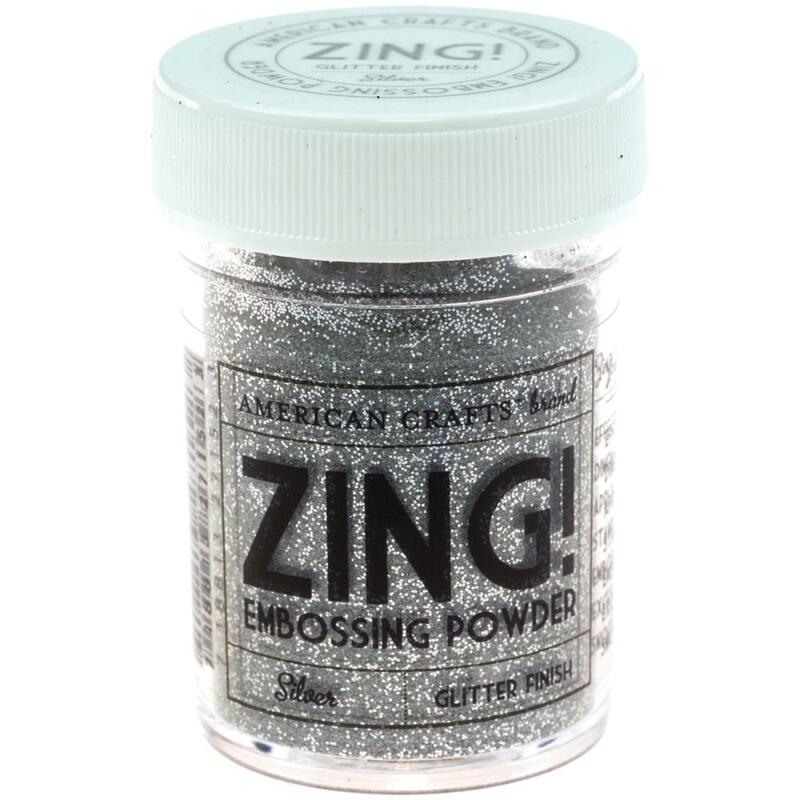 Add colour and dimension to all types of craft projects using this high quality glitter embossing powder. 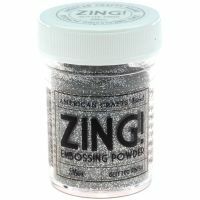 Stamp you image, sprinkle the powder over the inked areas and apply heat; you will see the gorgeous raised glittery area appear. Supplied in a 28.35g or 1oz tub. Also available in gold.